Wedding bells are ringing as the wrestler step through the ropes for big finale. But last-minute twists catch everyone off guard. 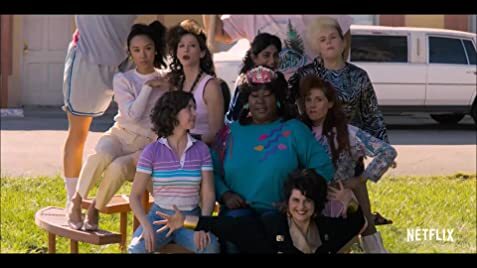 How many episodes of GLOW have you seen? Wrestling is a 'sport' I don't know too much about. All I know is that it is scripted TV that plays out in front of live crowds. And they 'fight'. After GLOW, my thoughts on wrestling haven't change much, but I can appreciate the behind the scenes a lot more. 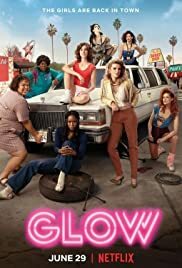 GLOW is one of Netflix's newest additions to their ever so growing library. It follows a group of ladies as they take up a wresting job purely for the money. Set in the 80s where many females struggle to get big time work, the show explores the behind the scenes of wrestling while looking into the life of an actress in the 80s. There is so much to talk about for this show that it is going to be hard to touch on all the bases. Firstly, this is a show about wrestling but it is a story about the characters. That is my biggest take away from this show. Considering that they only had 10 30 minute episodes, they managed to make you care about all these characters and give each an arc that some shows manage to do across several season. I have to give a lot of credit to the writing, because without this show being written the way it was, there is no way it turns out as good as it does. Whether it is comedy or emotional dialog, every moment of this show is well crafted and not one line of dialog or one action from a character seems out of place. An equal amount of credit has to go to the cast. While Allison Brie was the only name I knew entering the show, I exited the show with many stand outs. While Brie was one of them, I thought Marc Maron, Betty Gilpin and Britney Young stood up as the other standouts. That however takes nothing away from the rest of the cast. Each one of them nailed their performance and I couldn't name one member that stood out for the wrong reasons. I thought the whole show was shot wonderfully. They really captured that 80s LA that I am use to seeing in movies, and if it wasn't for the camera and audio quality, I would have believed that this show was shot in the 80s. Much of that also came from the music choices. Similarly to Stranger Things, the music gave the show so much authenticity when it came to portraying a time period. Overall, I was really surprised with this show. Firstly it was one of the easiest binge watches I have ever had. I watched the whole show in an afternoon because it was only 5 hours long rather than 10+. I'm not sure if this show will be getting a season 2 but I am all on board with it. I think this is one of the most well made shows around at the moment and it deserves all the credit it can get. 50 of 58 people found this review helpful. Was this review helpful to you?